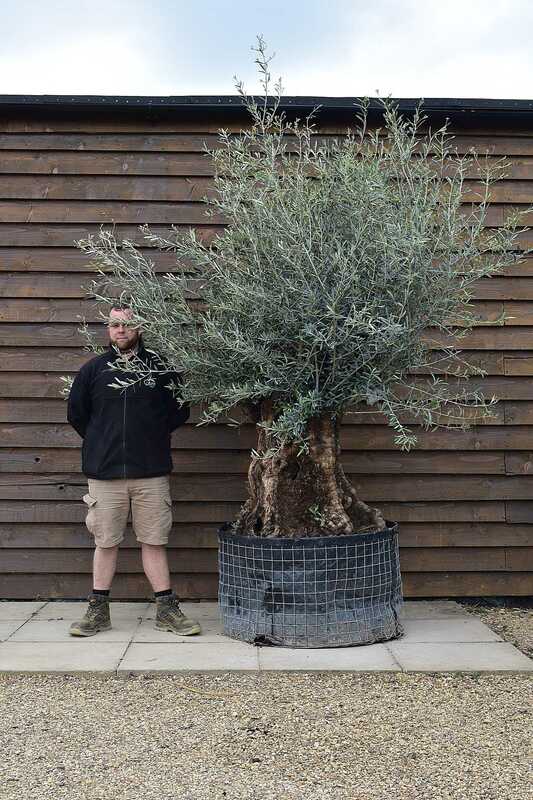 These Large Mature Olive Trees are perfect for large gardens and patios, and are a perfect centre piece for any garden. This tree is extremely heavy so would require some machinery to move it in to its final postition on delivery. 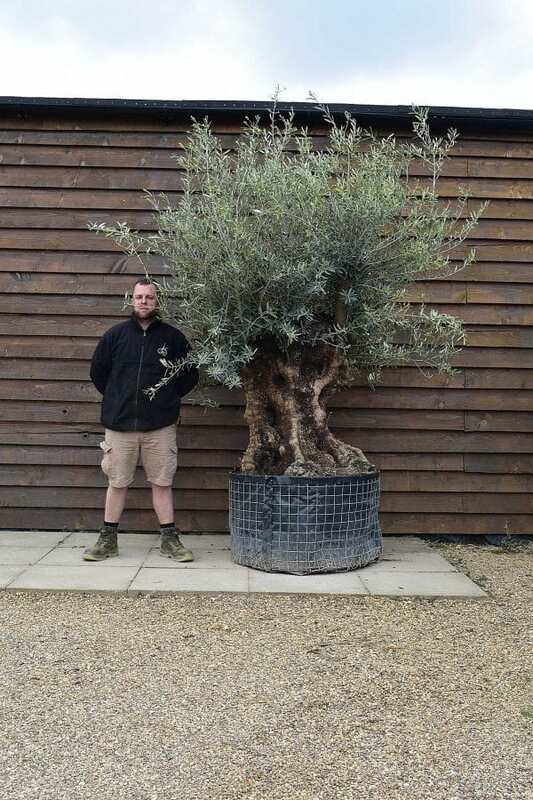 This gorgeous large mature olive tree is between 150 – 200 years old and is ready for planting in a container or in the ground and is ideal for adding such a dramatic touch to a garden or patio. This evergreen has a rather bushy habit and is hardy up to -15. These olive trees can vary in height and girth ever so slightly. However, all are approximately 7 – 8ft tall. We offer you the opportunity to choose your exact tree as they are extremely unique. Before placing an order, take a moment to look through our gallery.